There's surf and turf, then there's plucky and prawn. Got the same idea so should be a hit! Crumb the chicken with the corn flour, eggs and then polenta. Grill the prawns until cooked and golden. Fry the capers until crispy in the deep fryer. Drain. Saute the garlic in the oil, add the wine and reduce by half. Add the cream, water and KNORR Gluten Free Rich Brown Gravy and whisk until boiling. 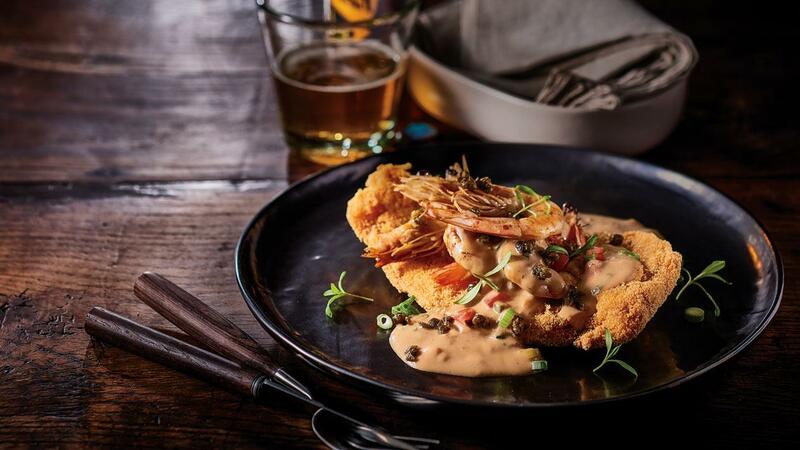 Serve the schnitzel with the prawns, cream sauce and garnish with the crispy capers and tomato.